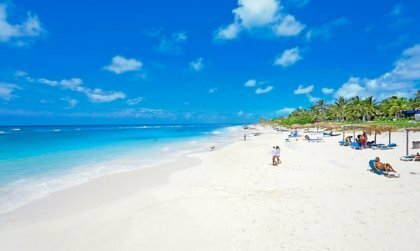 Cuban beaches are among the Caribbean’s most beautiful ones: endless and sandy, with white, soft sand and crystal clear water, coral reefs and turquoise panorama all around. 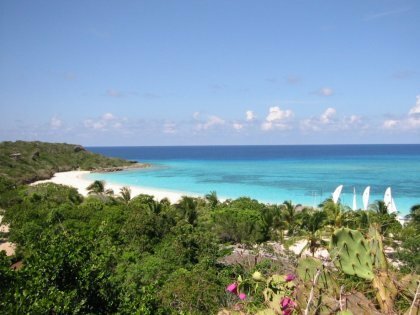 The Caribbean Sea is just perfect for relaxing, but also to soak up the sun and to snorkel. Varadero, the most famous place to party on Cuba. beaches, is located about 100 km east from Havana, and boasts of a variety of leisure occasions – from sport activities to entertainment venues. Coffee produced in Cuba is worldwide renowned for its unique flavor and its long-lasting aftertaste. 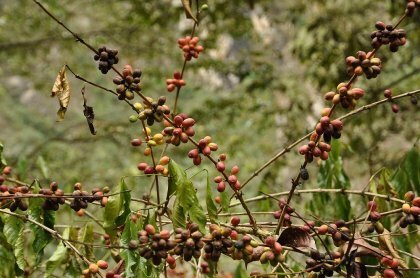 Coffee plantations up on the hills of Sierra del Rosario are for example worth a visit: they infact include a visit centre to learn more about the history of the coffee production. You can also have a cafe cubano tasting, which is served black, in small cups. Brazil is not the only country which knows its stuff when it comes to celebrations and parties; Cuba’s festivals calendar is infact packed with exciting appointments such as the Carnival of Santiago, the Caribbean Festival (Fiesta del Fuego) and the Easter Procession in Trinidad. 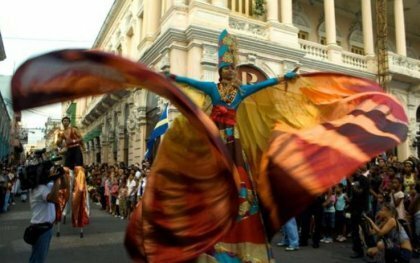 Fiesta del Fuego takes place in Santiago de Cuba every July and it is a fantastic events with parades, fireworks and loads of dancing. Such a mix of Spanish, African and Caribbean cooking traditions has turned Cuban dishes into an explosion of taste. The best food can be enjoyed in “casa particular” despite the menu offered can have a limited choice: dishes are in fact freshly prepared depending on the day. Food lovers should definitely try lobster but if you are not that hungry you can go for bocaditos, small sandwich. A recommended restaurant is La Guarida, famous for having had among itscustomers Fidel Castro, his brother Raul and Che Guevara on the 9th of January, 1959. The owner will proudly show you the table and the photos. Despite getting more and more popular since then, it still serves value for money and good food. You find it in Havana, 401 Monserrate. 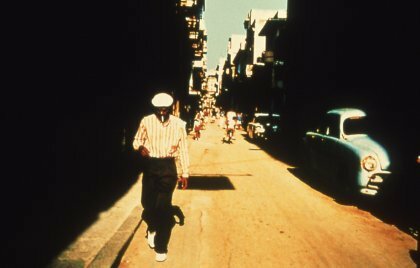 After the release of the movie Buena Vista Social Club (by Wim Wenders) Cuban salsa became even more famous. Music is always in the air in Cuba: if you stand in a bar listening to music, there is no way you will be able to stand still. You will automatically start dancing at the rhythm of salsa, merengue, bachata and chachacha. Pay a visit to the Club Salseando Chevere, Calle 49, 28 C in Havana: this outdoor salsa restaurant is located in Parque Almendares and boasts of a great atmosphere. Check out our Havana pocket guide. 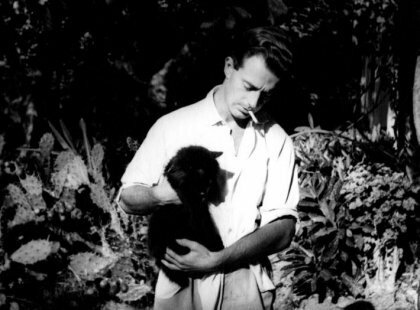 It is common knowledge that Cuba and Havana were Hemingway‘s favorite places: he actually lived there for nearly 20 years. There are several themed tours that take visitors to his life places; make sure you visit the “Ambos Mundos” Hotel, that’s were he spent several years of his life, and his favorite cafes and restaurants. The highlight of a tour in the footsteps of Hemingway is La Finca Vigia in San Francisco de Paula. This was the writer’s residence that has been kept untouched, in the same way as he left it. It’s now almost inhabited and you can only have a look at how it is through a window. Cuba truly is an idyllic island in the middle of the Caribbean and it hides some of the most beautiful islands, perfect for swimming, relaxing and diving, such as Cayo Largo or Cayo Coco, where the water is simply transparent. Isla de la Juventud, the largest one, is known mainly as Punta del Este and as a major location for snorkeling and diving. 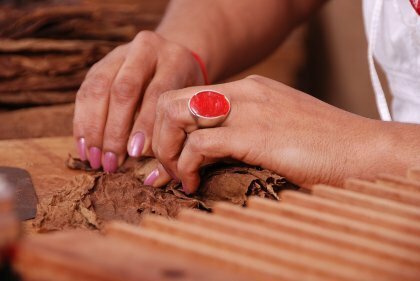 It’s no secret that the best cigars are manufactured in Cuba and that the most popular tobacco plantations are located in Pinar del Rio. That’s were the best tobacco is produced, still rolled by hand and turned into the famous Havana cigars. Several tobacco factories are also open for visits and give you a glimpse of the secret world of the cigar industry. If you are not a cocktails person, Cuba might not be the right place for you. 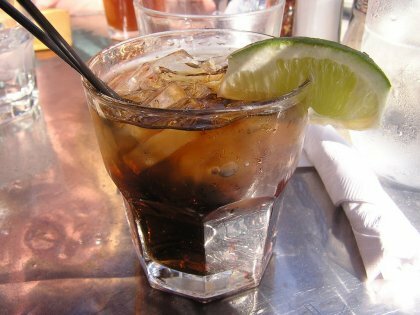 Sure, you can refresh yourself with beer or water, but there is no other country then Cuba where Cuba Libre, Mojito or Canchanchara taste this good; Bacardi at the end of the day hails from Cuba. For a perfect cocktail, you also need the perfect atmosphere of a 1920s/1930s bar, some jazz and a cigar. 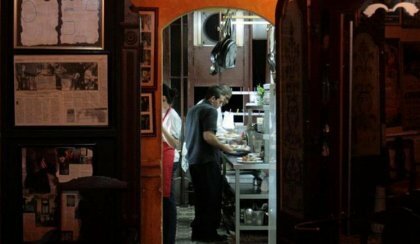 Hemingway’s favorite bar, El Floridita, is a must as it is La Bodeguita del Medio where to order an ron con hielo. Cuba boasts of spectacular natural parks: the National Park Alejandro de Humboldt and Parque Nacional Pico Turquino. The Humboldt National Park, named after a German scientist, is part of the UNESCO World Heritage Sites and is located nearby Baracoa. It includes the Carribean’s best preserved mountains ecosystem and a wide variety of tropical plants. 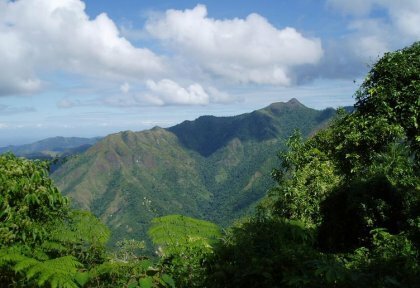 Turquino, Cuba’s highest point on the sea level, is included in the Gran Parque Nacional Sierra Maestra, in the very heart of Sierra Maestra, a heaven for bird watching. For those dreaming of a trip to the island, HostelsClub provides also budget accommodation in Cuba. Whether in Havana or in order cities in Cuba, you can find hostel, case particular, B&Bs and guesthouses, budget hotels or apartments to suit any travel need. Dowload our free Cuba desktop to always have an eye on such an idyllic destination and stay tuned: there are more to come throughout 2014!